In recent years, an ever-increasing number of organizations, governments and private sector interests have felt the need to promote public understanding of themselves and their concerns. 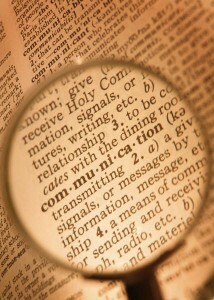 At GPS we understand that strategic communications constitutes an integral part of that process. Crisis and controversy can strike your organization at any time, regardless of its size or line of business. Here at GPS, we advise our clients that the best time to plan for crisis is when there is none. Developing a crisis communications program today can save you time, money and disappointment tomorrow. Working with our experienced associates to anticipate what can go wrong and developing efficient means to respond should be a part of your long-range management strategy. Knowing what people think about your products, services, or issues will give you a competitive advantage. By measuring public opinion pertaining to client issues and concerns, we remove guesswork from your strategic planning. GPS utilizes the most thorough and advanced research techniques, focus groups, market studies, voter analysis, and demographic surveys to give you an accurate evaluation of how to connect the public with your services, products, and issues. In many industries, the community relations function is integral to an organization’s presence and reputation within the community it serves. GPS willwork to bridge the gap between your services and the communities you intend to serve. Our team will help you formulate community conscious projects and corporate social responsibility programs that will give you a sustainable market advantage.